Our progressive congregation has been established here on Church Green for 375 years. In 1637, we were a Puritan congregation. Today, here at First Parish Church we encourage and support our members to grow spiritually, treat all people with love and respect, engage with others in a free and responsible search for truth and meaning, and look for ways to give back to the world. Our mission is to - in living our faith as Unitarian Universalists - INSPIRE spiritual growth, CONNECT with one another, and SERVE the larger community in love. 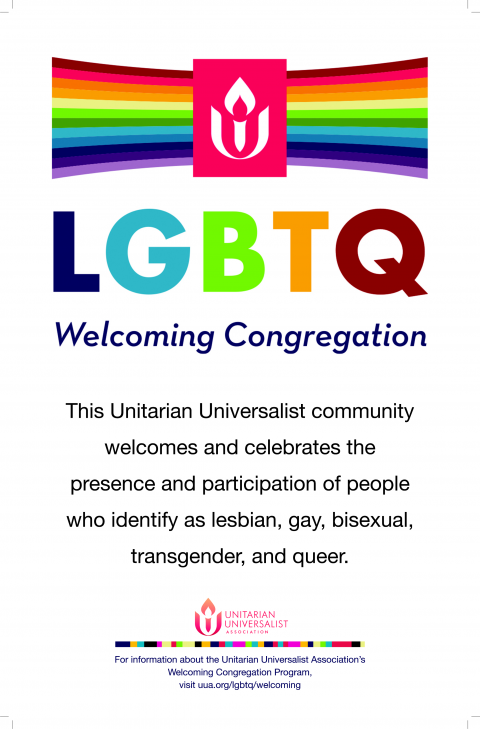 We are part of the Unitarian Universalist Association of Congregations, and have a vibrant spiritual community. Unitarian Universalism is a liberal religion that embraces theological diversity. Our faith, which has its roots in European Christian traditions, has evolved through its centuries-long history. Today’s Unitarian Universalism is the result of the 1961 consolidation of the American Unitarian Association and the Universalist Church of America. As our religion has no creed, we are free to take many paths in our search for truth. All member congregations of the Unitarian Universalist Association, however, uphold seven shared principles, including respect for "the inherent worth and dignity of every person," and "justice, equity and compassion in human relations." For more information, check out our Theology page.